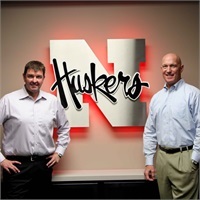 MasinMisko, located in Lincoln, Nebraska, was formed in 2003 by Tod Masin and Bill Misko, Investment Advisor Representatives. We believe applying a team approach to all we do adds a broader perspective and provides increased benefits to our clients. Our goal is to see clients’ earnings, productivity and confidence increase while their debt and worry falls away. We view our paycheck as a byproduct of helping you fulfill your dreams; our clients’ best interest is always our highest priority. MasinMisko strives to develop innovative solutions to address each client’s situation, focusing on ‘Return on Life’ as well as ‘Return on Investment’. Clients have unique investment goals and objectives that change as they pass through each phase of their life. Accumulation, Preservation, and Distribution of assets represent the ultimate challenge for investors. MasinMisko’s mission is to provide a comprehensive customized financial plan to help guide our clients through these challenges. Our philosophy represents an evolution of investment thought that moves beyond simple “Buy and Hold” and basic Asset Allocation, to Strategy Diversification. It focuses more directly on how investments interact and relate to each other. It looks closely at how investments are managed, how they seek to gain their returns, how they address risk exposures, and perhaps most importantly, what their correlations are with each other. MasinMisko strives to Earn your business by providing the highest level of personal financial services in a friendly, professional manner. By upholding our Midwestern values we seek long-term relationships built on Trust. Our client’s goals and Dreams are always our top priority. We are passionate about our client’s success.